Oversize viscose top decorated with the most beautiful floral print. Elegant top in a soft crushed fabric with frilled sleeves. 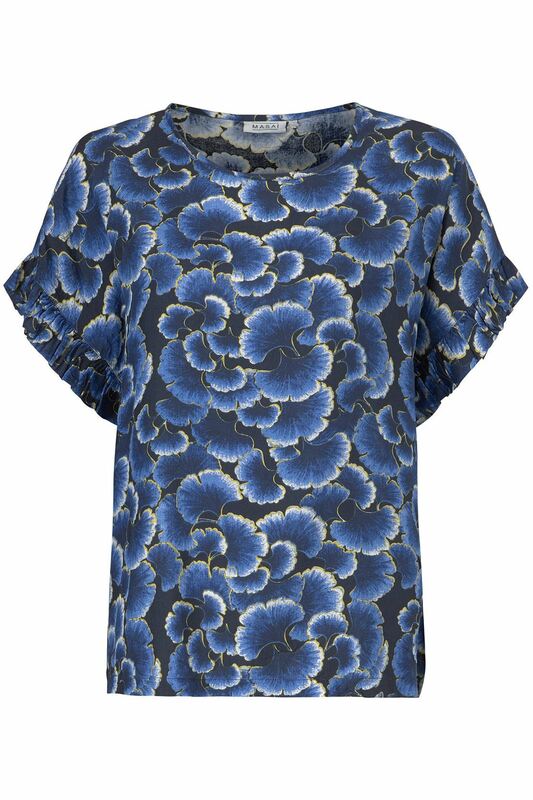 Oversized and slightly crushed viscose top decorated with the most beautiful floral print. The top features a round neck and frills on the short sleeves, which create a feminine and elegant look. Its loose shape gives you plenty of movability and makes it fall beautifully down over your figure. Wash = Machine wash on a delicate wool programme.